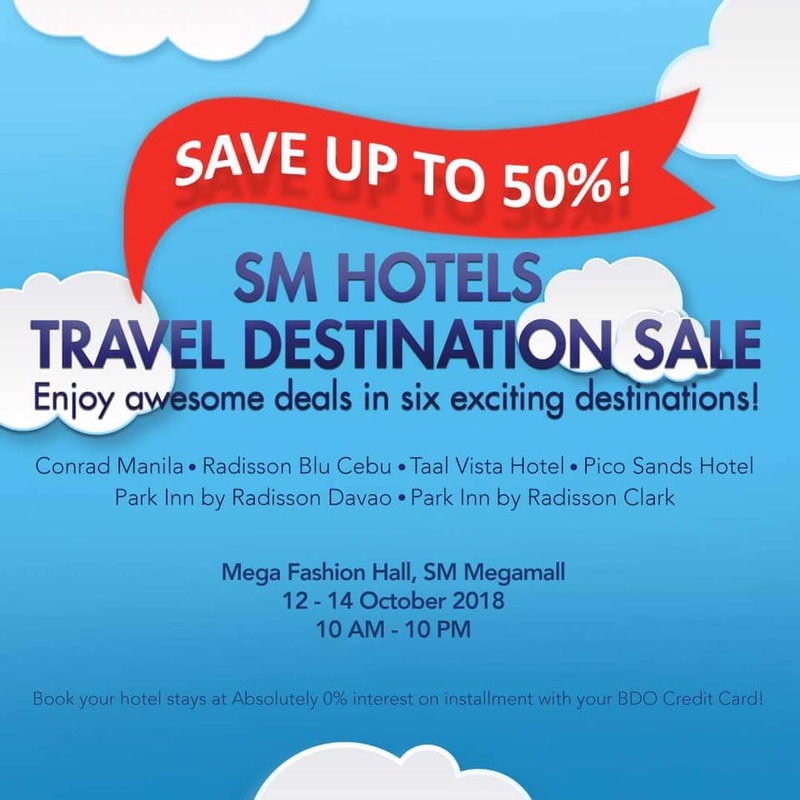 The SM Hotels Travel Destination SALE happens on October 12-14, 2018 at Mega Fashion Hall, SM Megamall! Enjoy #aweSM travel and staycation deals in 6 exciting destinations - Conrad Hotel Manila, Radisson Blu Cebu, Taal Vista Hotel, Pico Sands Hotel, Park Inn by Radisson Davao, and Park Inn by Radisson Clark. Plus...book your stays at absolutely 0% interest on installment with your BDO Credit Card!